KK Security maintains a reputation of integrity, diligence and professionalism that remains unmatched across Africa. For over 50 years, we have delivered tailored security solutions to clients using our expertly trained and skilled staff. KK Security operates within 15 countries and is headquartered in Nairobi, Kenya. 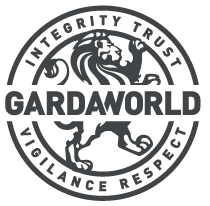 In conjunction with GardaWorld, KK Security has a global reach that extends 21 more countries across North America, the Middle East, Asia and Latin America. To provide safe and secure environments through honest engagement and respect for people and our clients. To be the leading provider of security solutions across East Africa. If you would like to learn more about KK Security, contact us today.